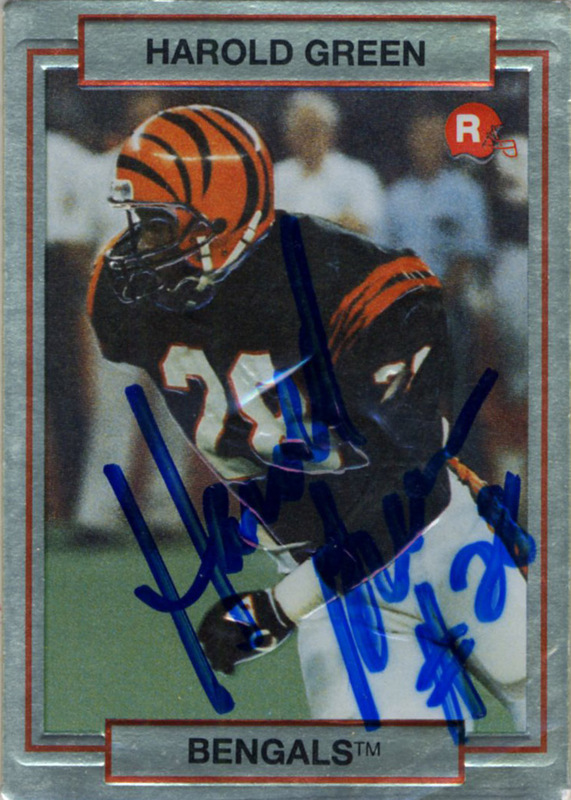 Harold Green was selected in the second round of the 1990 draft by the Bengals, who were concerned about Ickey Woods rehabilitation from a knee injury. A slashing style runner with good hands, Green was an imposing player from South Carolina. He played 6 years for the Bengals, 1 for the Rams, and 2 for the Atlanta Falcons before retiring in 1998. 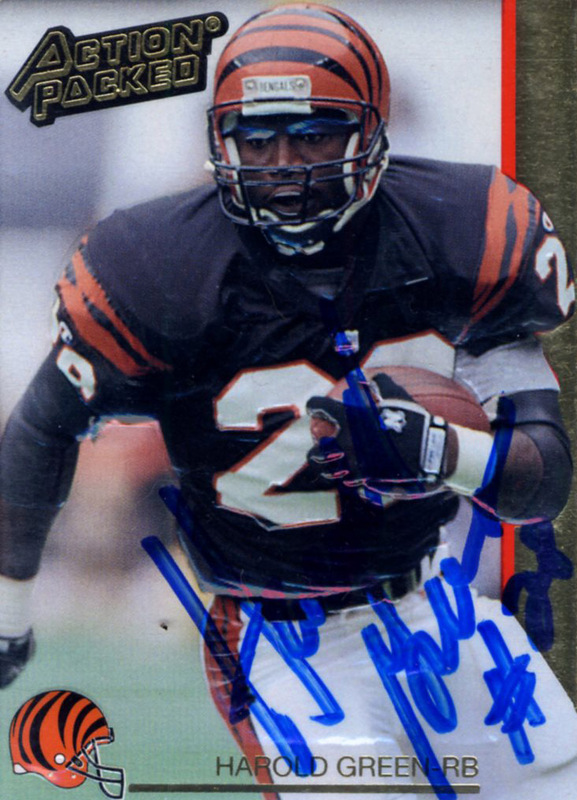 In his best year in 1992, Green ran for over 1,000 yards and was named to the Pro Bowl. In 1993 the Bengals offensive line was decimated, and the offense was criticized for being predictable under second year head coach Dave Shula. 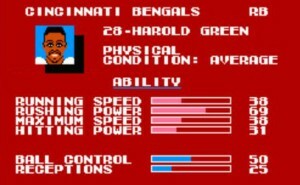 Harold’s statistics and average per carry nosedived from 4.4 to 2.7. Harold’s role in the Bengals offense would continue to decline until his departure in 1996, after the team drafted cursed Ki-Jana Carter in 1995 number 1 overall. Green during his tenure with the Rams won the team’s ‘Carl Ekern Spirit of the Game Award’ and it was his last modestly productive season, before toiling away his final one and a half seasons on the Atlanta Falcons whom he played for in Superbowl XXXIII. Harold was inducted into the South Carolina 100th Anniversary Team in 1992, and has worked with South Carolina’s athletic department. He owns two car dealerships.